Corke wrote: This thread is hilarious. Apparently Jesus likes inhabiting rocks, trees and food. I'm sure everyone has seen this before. That's quite funny, and sooo true. If God existed, that is. Did I detect a hint of skepticism in those two reporters? BRADENTON, Fla. - Faith can be found in all sorts of places -- even on a case of Corona beer, according to one man from Bradenton. 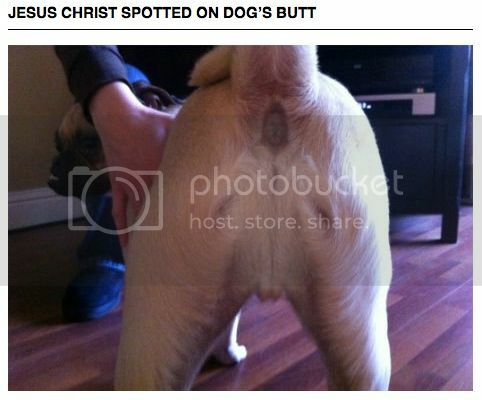 That's where he says he discovered an image of Jesus....but that's not all. We've heard these stories before; pictures of Jesus appearing on fruit, potato chips, and in one case -- even a sting ray. But this seems to be a new one. 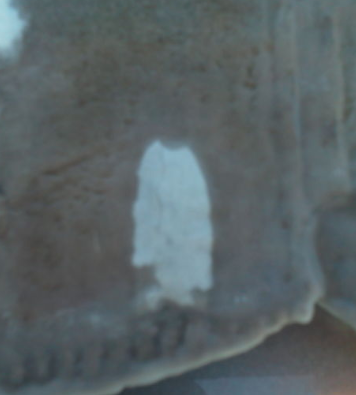 Actually, it was a section of a Corona beer case, in the shape of a fish. BROOKLYN, Oh - Is it a sign of a possible miracle on the car windshield owned by a Northeast Ohio man? See for yourself. The picture was taken by Jim Lawry. 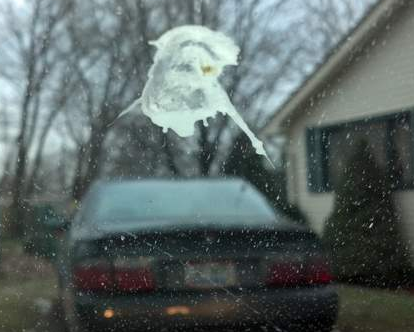 Mr. Lawry was in the driveway of his parent's Brooklyn, Ohio home when he noticed the spot left behind by a passing bird. A closer look gave him quite a surprise and left him amazed. Can I ask why random events that lead to human interpretations of images of faces in unusual or bizarre places always lead to Jesus? How do we know that its not Santa Claus trying to raise his profile and is constantly being thwarted by mis-informed eejits claiming it for something or someone else? I for one believe that Santa is trying to speak to us through bird poo, pizza sauce, toast etc. Jesus focusing on tortillas now is he? That crafty bugger, making us believe by appearing as VERY unclear brown stains on food based items. 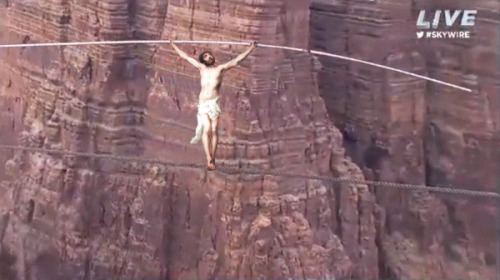 If this is all he can do now, I suspect that God's powers of creating the universe were greatly exaggerated! 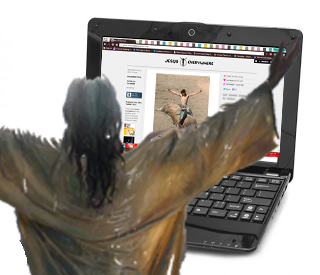 Even the internet is no barrier to our Jesus! angelo wrote: Jesus's recent accomplishments. It's not paredolia though, is it? This is...............Jesus on the brain.